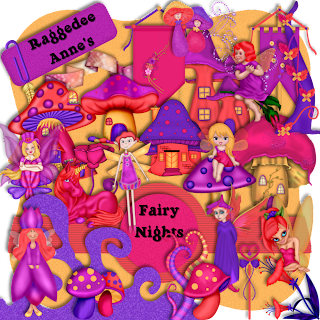 A whimsical kit designed to allow the scrapper to create a Colorful "Evening" Fairy Kingdom--When magical things happen in the dark! Includes an entire Fairy village of mushroom and other assorted fairy dwellings, fantasy grass and clouds! This is a huge kit consiting of 134 elements and 23 papers! You will never run out items to experiment with in this kit! The preview does not do justice to this kit! Only a small portion of elements are represented in the preview. Shadows are on the preview only. All elements are saved at 300 dpi in transparent png format. Papers are saved in jpg format to help save computer space. 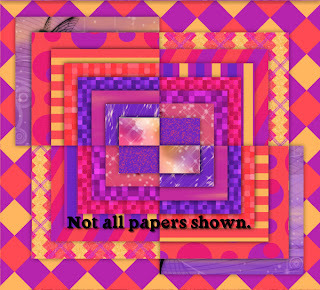 This kit comes in both Full-sized (papers measure 12" x 12") and Tagger (papers measure 600 pixels by 600 pixels and everything is approx. 72 dpi). Enjoy!